The Wisconsin Society for Ornithology strategic plan was developed from August 2012 through July 2014. Information regarding WSO’s strengths, needs, and opportunities was gathered via three web surveys, conversations with the membership at the annual meeting, a series of monthly articles in the Badger Birder newsletter, surveys of surrounding state’s birding organizations, and casual communications with members. A strategic planning team appointed and directed by the WSO Board of Directors drafted the information within this plan. This document will guide the work and board initiatives of WSO, and provide a framework for accountability. This plan can be amended at any time using the organization’s mission and values to guide future goals. Wisconsin Society for Ornithology’s mission is to promote the enjoyment, study and conservation of Wisconsin’s birds. 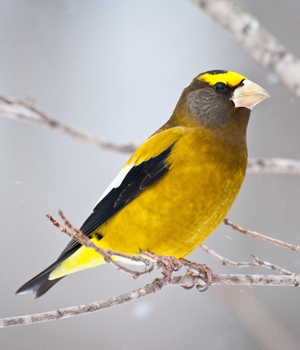 The Wisconsin Society for Ornithology provides opportunities for all people to enjoy resident and migratory birds, while being a leading steward of and ambassador for Wisconsin Birds. To achieve our vision and fulfill our mission, we have identified six areas of focus with accompanying goals. Goal 1: WSO takes care of its land. Goal 2: WSO provides leadership in bird habitat management and conservation. Goal 3: WSO creates and publicizes information on important bird conservation issues, especially those relevant to Wisconsin. Goal 4: WSO works in cooperation with other bird conservation organizations. Goal 5: WSO will seek innovative ways to fund bird conservation. Goal 6: WSO supports completion of Wisconsin Breeding Bird Atlas II. Goal 7: WSO sponsors research to further the understanding of Wisconsin’s birds and their ecology. Goal 8: WSO supports avian Citizen-based Monitoring (CBM) projects. Goal 9: WSO effectively communicates with its members, birders and the general public about the mission, values, goals and activities. Goal 10: WSO is the central source for Wisconsin birds and birding information. Goal 11: WSO provides publications that are accurate, of high quality and timely. Goal 12: WSO seeks to create a greater awareness of Wisconsin’s rich ornithological history. Goal 13: WSO will continue to provide enjoyable field trips for all levels of birders. Goal 14: WSO will host annual conventions that are fun, social, and educational. Goal 15: WSO will continue to sponsor or co-sponsor partner’s events. Goal 16: WSO will promote and expand the “Bird TV” series. Goal 17: WSO recognizes exceptional contributions to bird conservation in Wisconsin. Goal 18: WSO honors valuable contributions of time and talents to the organization. Goal 19: WSO will continue to officially validate state bird records. Goal 20: WSO maintains an accessible and well-maintained system for storing its historical documents/artifacts. Goal 21: WSO will seek an increased membership of 50% by 2020. Goal 22: By 2020, WSO will actively seek to increase its annual income by 100% through increased membership and a combination of voluntary membership support, fundraising, bequests and grants. Goal 23: WSO supports young birders. Goal 24: The WSO Board will regularly evaluate its structure to enhance meeting the Society’s goals. Goal 25: The WSO board will strive to effectively address the membership’s concerns and priorities. Goal 26: The WSO will use these strategic goals to guide WSO activities.